I recently discovered the brand Caterpillar have released a brand new cooler. They are well known for their excavators and machinery but when we look at a CAT cooler vs a Yeti cooler can CAT compete? Cat Coolers perform similar to the Yeti in terms of ice retention and durability. They have a limited lifetime warrant and are about $10 cheaper than Yeti’s of a similar size. However, CAT coolers come in just 2 sizes (27 and 55 Quart) and only a single color, while Yeti coolers come in a variety of sizes and colors. Both coolers do the same job and are good buys, so it comes down to personal choice which cooler is best for you. In this showdown we’ll look at the difference between the two coolers to help you decide what’s best for you. I personally own a Yeti cooler (and love it) but I don’t currently own a CAT Cooler as they are a new entrant to the market. CAT Coolers are actually just a branded version of the Taiga coolers. Taiga make great coolers and offer a service to brands to make coolers and put the brands logo on it. This is obviously what CAT has done with their new cooler. What Makes Cat Coolers Worth Buying? So we all know the CAT (Caterpillar) brand. It’s bright yellow and they make everything from mining trucks to excavators and all sort of other machinery. But they also make a lot of branded merchandise as well over at ShopCaterpillar.com. Everything from hats to clothes to calendar and now coolers too. So what features does the CAT cooler have and is it a cooler worth considering purchasing? Ice Retention – CAT coolers have surprisingly good ice retention. When the 27 QT model was tested against some of the best small coolers out there it really held its own. You can expect to keep ice for 5 to 7 days. It’s important to note the Taiga coolers are the ones that have been ice tested, but these are basically exactly the same as the CAT cooler. 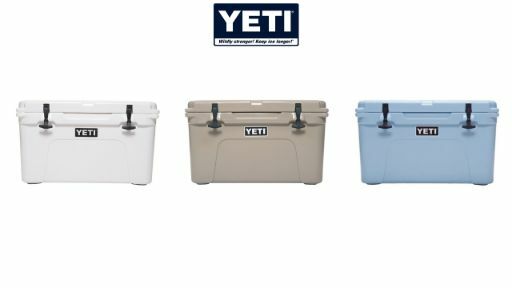 Price – You would expect CAT cooler to be cheaper than Yeti coolers and they are…but not by very much. Both the 27 QT and the 55 QT models are only $10 cheaper than a Yeti cooler of a comparable size. This makes me more likely to buy a Yeti cooler as it’s a well-known brand and it’s only $10 more. Build Quality – The CAT cooler does have a great build quality. It’s made using the same roto-moulding process as the Yeti cooler, has similar latches and non-slip feet and a similar single pin hinge for the lid. This cooler would be great for those on work sites as you don’t have to worry about it getting broken. 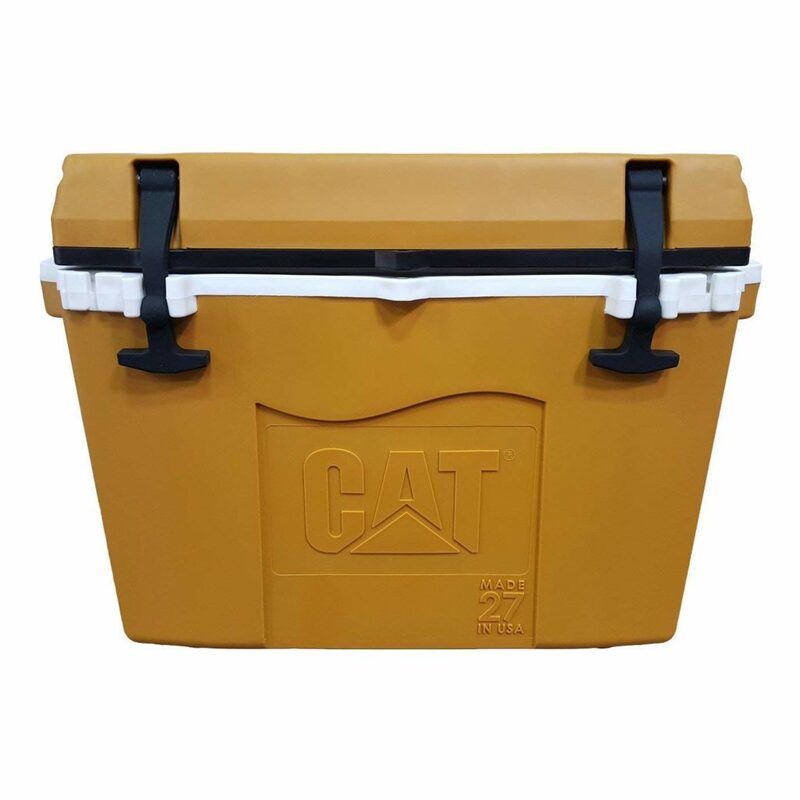 Color and Size Options – These coolers come in just one colour, the signature yellow of the CAT brand. There is also a strip of white and black where the cooler lid meets the main body of the cooler. This gives it a nice industrial look not too dissimilar from a CAT truck of piece of machinery. Handles – Unlike the Yeti the handles of the CAT cooler are not rope handles but rather they are built into the molding of the cooler. They stick out the side and are extremely sturdy. I personally don’t like these type of handles, which are similar to the pelican cooler, as it means the cooler takes up more space in your car or truck than it needs to. Bear Proofing – There is no information about whether or not the CAT cooler is bear proof so I assumed that it isn’t. Manufacturing Locations – The CAT cooler is a branded version of the Taiga cooler which are manufactured locally in the USA. While some Yeti coolers are also manufactured locally many of them are manufactured overseas in the Philippines of China. So if you want a cooler that is manufactured here in the USA then the CAT cooler is a great option. Warranty – The CAT cooler has a lifetime warranty but don’t get too excited by that. It’s a limited lifetime warranty that covers defects in workmanship and materials for the life of the cooler. The warranty only applies to the original owner and doesn’t cover damage that may be caused by accident and it doesn’t cover normal wear or tear or discolouration due to sunlight. The lid gasket, rope handles, drain plug and latches only have a 5 year warranty. Who Should Buy A CAT Cooler? 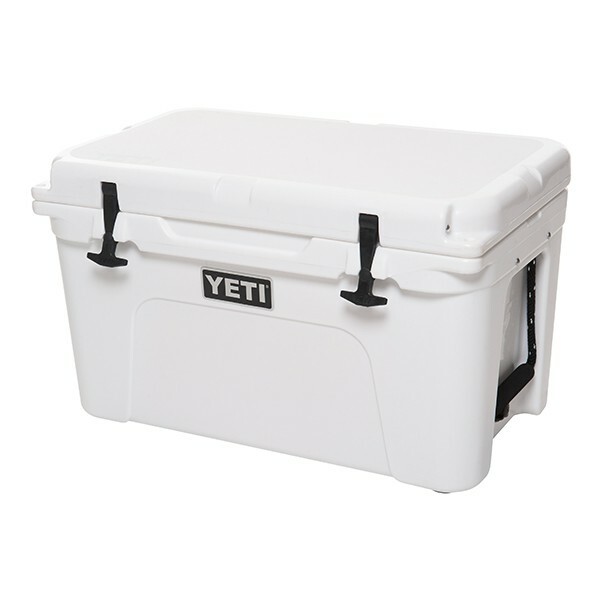 The CAT cooler is a great product and it does perform similar to the Yeti in both ice retention as well as durability. 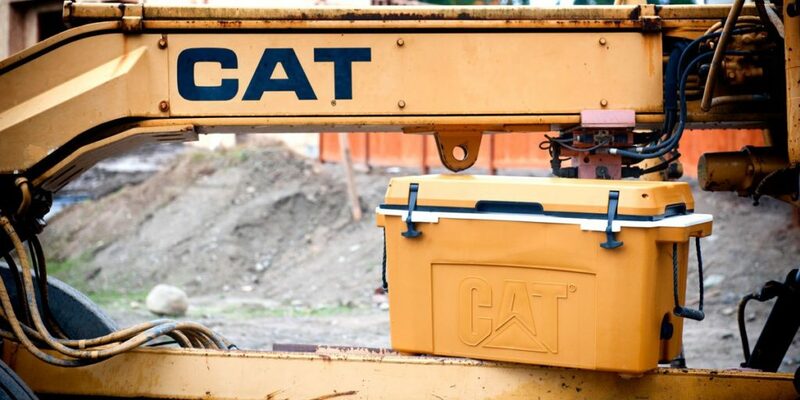 You should buy the CAT cooler if you absolutely love the CAT brand or maybe you’re someone who’s working with CAT machinery and you want the cooler to match. If so then this cooler would be perfect for you. Otherwise I just can’t see the justification in purchasing a CAT Cooler over a Yeti cooler, or another brand like an RTIC or an Orca Cooler. For just $10 more you can get the most well known brand in the industry and not only that but Yeti coolers are made extremely well and have an excellent finish. You can buy CAT coolers directly through their website or through Amazon. You can use my affiliate links below to see the item on Amazon and to read the customer reviews. 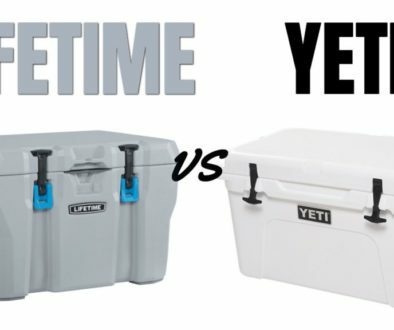 How Does The Yeti Cooler Compare? Yeti pioneered the roto-molded cooler industry and in my opinion make some of the best roto-molded coolers out there. What sets Yeti apart from the rest of the industry is the build quality of their products. I personally prefer the shape of The Yeti when compared to the CAT cooler. I’ve owned a Pelican cooler which had the handles jut out the side in the same way the CAT coolers handles do and I found this really frustrating. When packing the cooler into my car or truck it just took up more room than the Yeti. I also couldn’t put it flush up against anything and all around this just made it more annoying to use. It sounds like a little thing but when you are spending this much money on a cooler it can be frustrating. 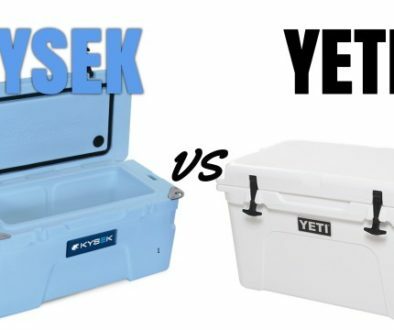 Ice Retention – The CAT cooler would likely outperform the Yeti cooler in terms of ice retention but only by a small margin. You’re talking about maybe 6 days for the Yeti vs 7 days for the CAT cooler. In my own personal ice test the Yeti held ice for over 10 days, however this was in the cooler months so it wouldn’t hold ice this long in summer. Price – Often when a new cooler is released to the market it is priced cheaper than the Yeti. However the CAT cooler is only $10 cheaper than the Yeti for a similar size. Color and Size Options – This is really where the Yeti shines. While the CAT cooler only comes in one colour the Yeti cooler comes in a variety of colours. The CAT cooler has just two sizes, while the Yeti cooler has a large number of sizes to suit your needs. The most popular size tends to be around the 35 to 45 Quart range and CAT coolers don’t have anything in this range. Build Quality – The Yeti has great build quality. Originally I thought the Yeti was just like any other cooler but when I purchase one and it arrived the finish of the product was just so much better than any other cooler I had ever purchased. It felt like opening that brand new iPhone, you just can’t fault the product. I can’t speak personally for the CAT cooler but other coolers that I purchased have just not felt as nice. Shape and Handles – The Yeti has a more basic shape than the CAT cooler. It looks less robust and more streamlined but don’t let that trick you this thing is built to last. It has nylon rope handles which tuck away in a recess of the cooler and as mentioned previously this means it takes up less space in your car or truck which I absolutely love. 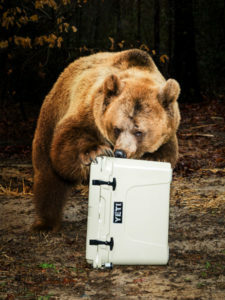 Bear Proofing – The Yeti coolers are certified bear proof while CAT coolers are not. You do need to padlock them on both corners in order for them to be bear proof. Manufacturing Locations – Yeti coolers are primarily manufactured in the Philippines and in China. However, some of the Yeti coolers are manufactured locally in the USA. If you want to find out more about where Yeti coolers are made then check out this article. Warranty – Yeti coolers have a limited 5 year warranty where as the CAT coolers have a lifetime warranty. However, Yeti coolers do have thousands of customer reviews and at the time of writing the CAT cooler has no reviews on Amazon. So despite the difference in warranty period I still feel comfortable and secure buying a yeti cooler. Who Should Buy A Yeti Cooler? You should buy a Yeti cooler if you prefer the design of the Yeti over the CAT cooler. 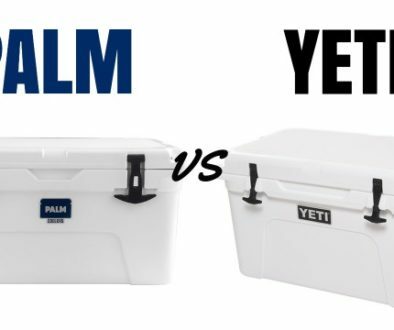 Both coolers are made to last and have excellent ice retention so the decision really comes down to personal choice as well as which brand cooler you would prefer. 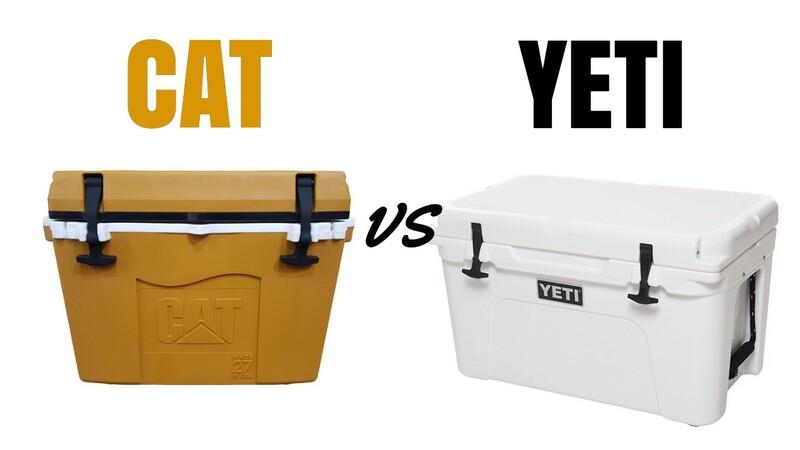 I personally prefer the slimline design of the Yeti cooler and I am not a big fan of the bright yellow of the CAT cooler. I’m using my cooler in my campervan or at home but I can imagine that someone on a worksite, or working in a mine might prefer the stand out CAT branded cooler and the chunky design. Both coolers will do a great job and take anything you throw at them. 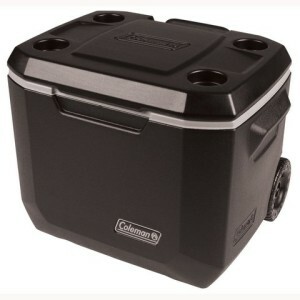 If your budget is a little bit tighter than you can’t go wrong with a Coleman Xtreme 5-day cooler. It’s not as durable as the Yeti or the CAT cooler and it isn’t as flashy but it’s a tiny fraction of the price and keeps ice almost as long. If you just need a cooler for everyday use and you aren’t going to give it a thrashing then the Coleman Xtreme is a great choice and it won’t break the bank. In my personalised test the Coleman Xtreme actually beat the Yeti in terms of ice retention and kept ice for over 10 days! I legitimately love my Coleman Xtreme almost as much as I love my Yeti…and that’s saying something. 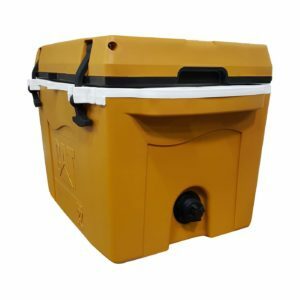 If you love the design of the CAT cooler but don’t love the yellow or don’t need the cooler to be branded with the CAT logo then have a look at Taiga coolers. Tiaga actually manufacture the CAT cool so the only difference is the colour and the logo on the front. 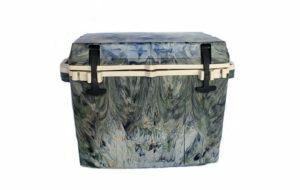 Taiga have some great colours but what they are most proud of is their camouflage coolers each of which has a completely unique design due to the roto-moulding process.